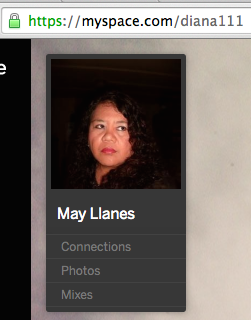 Now click on May Llanes (diana 111) on Myspace. May 7 is when I first hinted at her identity here and again here and posted a blurred picture of her here. We still have MySpace? Huh? She looks pathetically sad. She must have realized what the idiot Deacon from agat refuses to believe. Diana will make a statement of denial of these accusations at Kings. We will know it is her when her facebook profile changes...By the way, her linked in profile has her studying Education Management at the University of Guam. I guess her goal is to expand her blog from cyberspace to the classrooms of our innocent children. Now that the identity is out on May Illanes; she will now be subject to a lot of public scrutiny, especially from the families she publicly accused and lied about on blog. No prayers can save her from what will be come of this, now that the Dungbat is finally unmasked. Talk about Karma. Awhhh, is it coincidence, her and zoltan at uog. No wonder why they get along so well Bunch of freaks!!!!! zoltan is her professor. He is teaching her how to master the english language. no need to ask her "Who english you may or my, whatever her name or face is. Ironic how May loves using google in everything she's researched and it's the one thing which is used to identify her. Lol. What a retard. The "cache copy" of Google reports that on 15 May 2016, 3:39GMT, her Myspace profile was still active. Oh, dawg! Her Facebook profile reveals she placed a "Like" to an NCW page, and an NCW-related group. Plus, friends with Umatuna and the mighty Zoltán. And also present on Linkedin, Wayn, and even in the Edivaldo Parish as Faith (which one?) Coordinator as well. But -excuse me- didn't Kiko prohibit Facebook and Internet? Eww... why is she facebook friends with Tim? ...smells a bit fishy. Conspiracy? May as well as Zoltan used to be part my study group. And both were FB friends till I got rid of Zoltan a couple years ago. In fact, his rants at me on FB for opposing the NCW are what led to my doing this blog. May was a frequent customer of my store as were many NCW's. And I was open to all. I had cordial conversations with her. But when she started coming to my study session I began to smell something. Ric Eusebio was her catechist and I knew that there was no way she would be permitted to attend what I was doing. So I asked her once about it. She said that she just wanted to hear "the other side." We were studying the catechism of the Catholic Church - so I guess that's "the other side." After awhile she stopped coming. I'd see her in the store now and then but as the Fr. Paul issue warmed up and my blog became the focus of opposition to Apuron, she became less friendly. I didn't think anything of it, and soon thereafter I departed from the store before Apuron could kick me out. Several times Zoltan led me right to her but I let it go. The challenge early on in identifying her was and is that there are other contributors. They may not post directly to her blog but she does a cut and paste. However, in the comments, she is pretty consistent in her use of language. Finally we get a bit of truth from someone in the NCW: "the other side." There is no "other side" to the One, Holy, Catholic and Apostolic Church. There are other churches. You are free to join them if they fulfil your spiritual needs. Co-opting the Catholic Church, changing the liturgy, evangelising to practicing Catholics during the Holy Sacrifice of the Mass, etc., is unacceptable. Several weeks ago I (and my friends in the choir) stood up and walked out of church at the start of the "invitation to joy." We went back in when mass resumed. Fr. Jucutan was filling in for Fr. McGrath that day. Before mass ended, Fr. 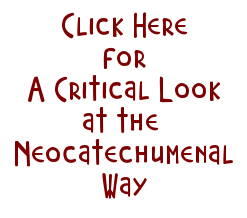 Jucutan (visibly upset) mad a little speech about the NCW being approved by several popes, etc. This is the same defence neos give time and time again. That's fine. I will still stand up and walk out whenever someone "invites me to joy." NO THANK YOU! Any relation to Edi? They seem similar not only in appearance but in the ugliness of their hearts also. 5:50 , good for you! This is big. Always thought Edi had his grimy fingerprints all over 'Diana'. This guy has got to go. Imagine him around for 40 more years???? And their walls, come a tumblin' down, their walls, come a tumblin down', their walls, come a tumblin' tumblin' dowwwwwwwnnnnn! May needs to walk straight and stop slouching when she walks. She needs to fix her hair too. I remembered her at UOG. Can't wait to meet her. Why people post in a blog the author of which is not known is beyond me. If Tim Rohr's blog was unnamed, why would I trust it with my thoughts. If it were unknown, their is no accountability. No responsibles (excuse me but pun is intended). Since, the author is unknown, what guarantee do I have that he/she/it is for real. At least in Tim Rohr's, you know what he stands for. And that is a guarantee I can appreciate. Now that Diana is found out, will she finally come out in the open. I think her followers deserve nothing less. They and she are all cowards, that's why. It's that simple. 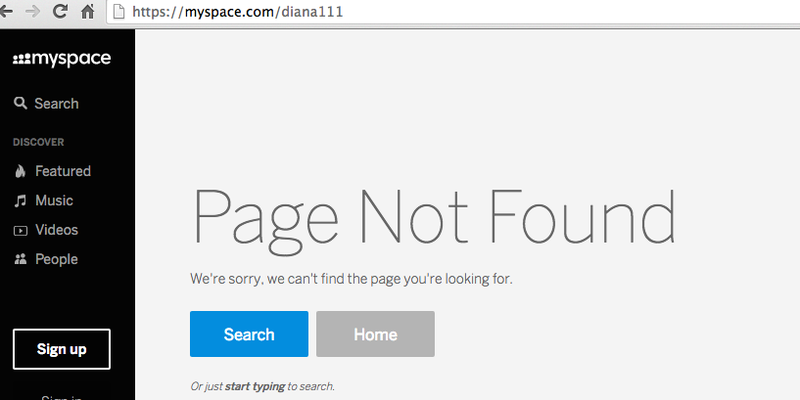 MAY-be Diana asks many of her own questions and cleverly answers them herself. In English! All her glowing comments are her very self. MAY -be. Siigned with : ) poor girl. Very devoted walker. Great copy and paster. Pretty please May-smile for the camera? May also had a private meeting with the Vatican officials when they were here. Interesting looking back at this schedule and how loaded it was toward the NCW. Many more people could have labeled NEO by Tim, than was. Example - Mariles Benavente, who just recused herself from the Archdiocese review board due to conflict of interest due to her walking in the Way. Wow! Meeting with Hon?? For what????? Tell us, May. WHO put that infamous list together. Turns out, hee, hee, that wasn't the real list. Just in time, May LLanes! Hey, hey, Christmas came early!!! Thank you so much Tim for my new BFF! I gave some thought to hiding behind a pseudonym when I first started this blog, not because I didn't have the truth, but because of what it might cost me. I am in business for myself. My ability to feed and care for my family depends on my ability to attract and keep customers and to keep good relationships with business associates. My opinions could alienate people and thus hurt me financially, socially, etc. However, I discard that idea because I knew that at some point the truth would come out. It always does. And the devastation to my credibility would be complete. It would be better to take the chance at being up front about everything and let the chips fall. The chips have fallen and yes it has cost me a lot. But if faith and truth does not cost you something then what good is it. I thank those of you who have continued to give me business even if you disagreed with some of the things I was doing. And actually, my business has grown. I believed that there were a lot more people who would appreciate the truth and I was right. May has little to lose. Her GovGuam retirement is going to stay. She doesn't have to worry about being credible. She doesn't have children to feed. She can hide for the rest of her life in her community and they will take care of her. There is no cost for lying and hiding...except the final one. Let's not give good 'ol May-be too much credit. Except for her dogged fidelity to Edivaldo, her efforts are as pathetic as Dcn Tenorio's. Not much of a life. Pretty sad, really. Poor May-be. Really sad how she claimed to have a husband and family so many times. I am aghast at how Deacon Tenorio lied! I am very sad for him. I know for a fact he was never present at altar boy events. I was shocked to see him being used as a puppet. I always thought highly of him, but no longer. He reminded me of the vicar general...blank and ghostlike. Ooohhh. Ghostlike. That's about it. Wow, just got a shiver. She looks like an orange that had all of her juice sucked out of her. OUCH!! May - How's Barry? Check GovGuam staffing pattern and find where May works. She is a teacher. If you want to be sued, can you use your real name so it can be on the list? May Llanes ....gotcha! Had guts to sue huh! Your teacher salary is not enough! If she outright lies about this, who can believe a single thing she writes on her blog?? Thank you fatty May, we don't believe you, because you are a pathetic liar, and that's your problem. Anonymous 9:27 p.m. Be a little more respectful. There are those of us very devout Catholics who are overweight. 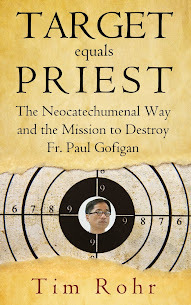 There are even overweight good non-NCW priests and brothers. Try to find another way to put May down. A teacher with such pitiful English composition skills? Poor kids. Even if English is not her subject, a teacher ought to be proficient in communication. LinkedIn says ENGLISH is her field. What a hoot. Can't even spell Altar. Of course, it's not in NEO vocabulary. That explains everything! She probably moonlights at the RMS as the ESL professor. Pathetic. How does a Kiko spell altar? Diana May routinely published maybe 20% of my submissions. And I was not being rude. That is one willfully stubborn individual, fully in thrall to the NCW Cult. How did Zoltan clue you in anyway? I'm missing that piece of puzzle. I'll tell that story after the rest of their house of cards comes tumbling down. Good day May, Diana, who knows? Oh my! Look how fast your nose grows! A her or a him? An it, perhaps? Truth will expose.